As a literary scholar, it's a good feeling when a writer you've been studying for years finally receives widespread attention. I experienced that feeling last year with the tremendous response to Ta-Nehisi Coates's Between the World and Me (2015). And I'm experiencing the feeling again as I track the coverage of Colson Whitehead's The Underground Railroad (2016). There's a lot in common about the receptions of Coates and Whitehead. Two New York City-based, black men writers of a certain generation receive an abundance of praises for their works. In addition, their books were endorsed by two prominent women--Toni Morrison for Coates and Oprah Winfrey for Whitehead. Within weeks of publications, their books ascended to the top of the New York Times best seller list. There are still many divergences in the coverage. While dozens of reviewers chimed in on Between the World and Me and The Underground Railroad, responses to Whitehead's book have remained largely confined to the world of contemporary literature. The reviewers for his book are primarily people who have always reviewed fiction. By comparison, Coates's book attracted a far more eclectic group of reviewers: journalists, cultural commentators, professors, entertainers, and others. There were also lively debates about the implications of Coates's work. Some wondered, for instance, does Coates do enough to address the concerns of black women? Others were vexed about this, that, this, and that concerning "white audience" and liberal adulation for Coates (i.e. David Brooks wrote a piece entitled "Listening to Ta-Nehisi Coates While White"). How do we account for the divergent receptions of Coates and Whitehead? For one, I think, there is simply less wide-ranging interest in African American fiction than in African American nonfiction. Second and related, commentators and media coverage apparently elevate African American literary artists and African American nonfiction writers in different ways. 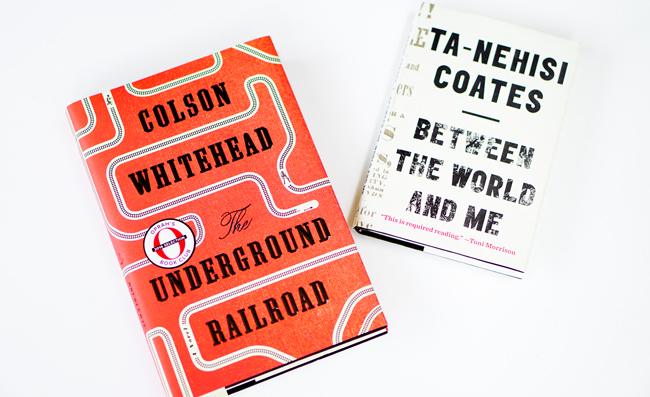 Whitehead is presented as an exceedingly talented novelist, while coverage of Coates suggests that he is a leading spokesperson on race in America. Third, market forces and societal concerns matter. Between the World and Me fulfilled an important void for audiences looking to read a thoughtful perspective related to the ongoing national conversation about violence against black bodies in this country. Further, Coates's book is presented as superb at illuminating problems concerning race and racism. Accordingly, Between the World and Me is a popular selection for university common reading programs and church reading groups.